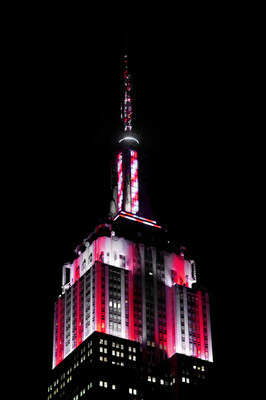 State Building will present a music-to-light show choreographed to "This is Me"
Empire State Building illuminates New York City around her. ingenuity, traits that exemplify the Empire State Building," said Anthony E.
transcendent nature of the iconic Empire State Building." of show business and the sense of wonder we feel when dreams come to life. Inspired by the ambition and imagination of P.T. Barnum, "The Greatest Showman"
hits theaters nationwide on December 20, 2017.
the world's most beloved attractions as the region's #1 tourist destination.